It’s dark, you’re out in the woods somewhere, and most of all, you’re scared about what’s lurking behind those bushes. So, what do you do? Well, if you can somehow sum up the courage to go, you can inspect it and use your phone’s LED light to try and illuminate things. That’s a practical thing to do, obviously, but not entirely safe either. Instead, you can use these new thermal imaging camera attachments to see through the darkness – getting a better look at what you’re possibly up against. Very recently, we’ve been getting acquainted with two the more notable, competing thermal imaging cameras on the market right now – the FLIR ONE and Seek Thermal Compact. If you don’t know them, they’re basically thermal imagine cameras that provide Predator-like vision with our smartphones, you know, the kind of vision that sees red for hotter temperatures and blue for cold. In our case, we’ve been using the microUSB-ended variants of the two, as they also make an alternative one for the Lightning ports on iPhones. They act very similar to one another, for the most part, seeing that they can distinguish cold and warm spots in a shot. Frankly, they have a ton of use cases besides uncovering what animal is hiding behind those bushes on your camping trip. For example, they’re used to see the piping structure behind walls, drafts that might be coming into a house due to a poorly installed window, hunting in the wild, and even trace back intruders by their footsteps. Anyways, we’ve been using the two for a bit now and have a good feel for what they bring to the table. Interestingly enough, too, they’re priced identically at $249.99, so that begs even more of the question as to which of the two is the superior one. Let’s quickly go through what we like and dislike about the two. 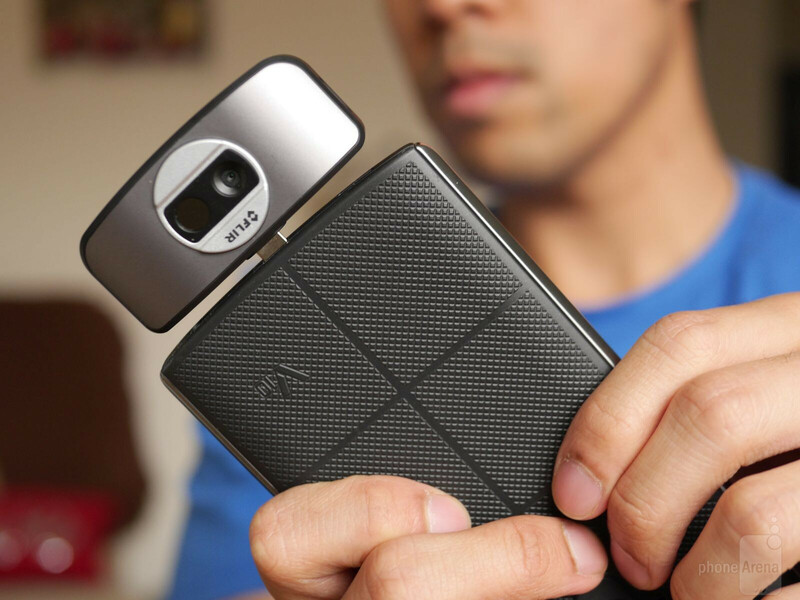 Between the two, the FLIR ONE seems to be a slight step ahead of its rival, mainly due to its dual-camera configuration. One of them of course is reserved for its thermal imaging capture, while the other, in combination with FLIR’s MSX Technology, allows the final image to blend in the appropriate thermal ranges – dishing up incredible fine details in the process. We also like the FLIR ONE for the fact that it’s more responsive with its analyzing, and that it offers more modes besides taking still images and video. 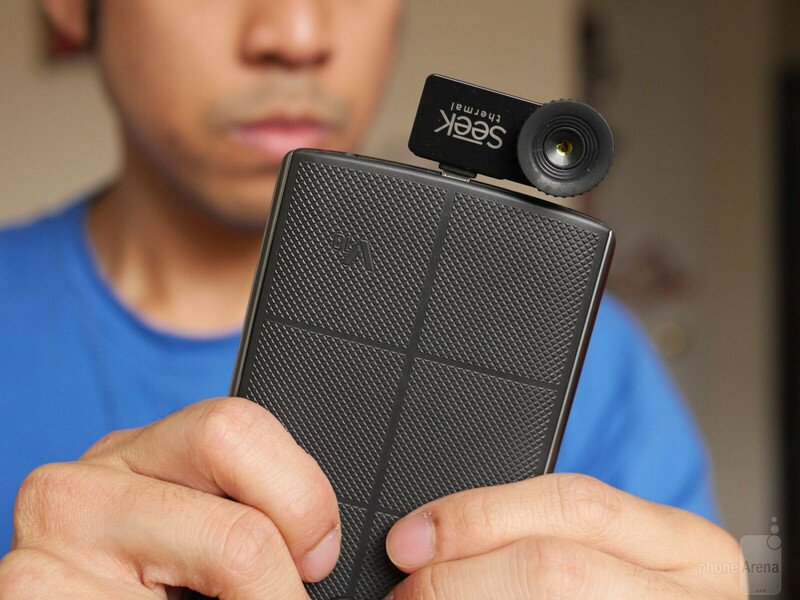 For example, there are time-lapse and panoramic capture as well. Its one disadvantage, however, is that it relies on its own power source, which means charging it at some point. The Seek Thermal Compact is the other rival in this quick comparison, and just like the FLIR ONE, it gets the job done with its thermal image analyzing. For starters, it’s something that doesn’t need to be charged, since it gets its power through our phone’s microUSB port. Secondly, the design, as its name implies, is more compact than the FLIR ONE, but then again, there’s only a single camera on board here. Our biggest grips about the Seek Thermal Compact is that it’s slower with its analyzing, less defined with its capture, and there aren’t as many shooting modes either. While it definitely analyzes the heat signature of a scene, it produces blotchy looking compositions that lack finer details in subjects. There’s also the constant clicking sound it produces, something that’s done whenever there’s a tremendous shift in heat signatures in a scene – sort of readjusting or re-calibrating itself. That's pretty cool! Thanks for the article! FLIR One definitely takes much better photos, but if you bought one to find air leaks in your home, either would serve their purpose rather well. In fact FLIR One is extremely less precise as Seek because FLIR use the MSX "technology" who is simply inserting the human view image in transparency under the thermal one. Hi. 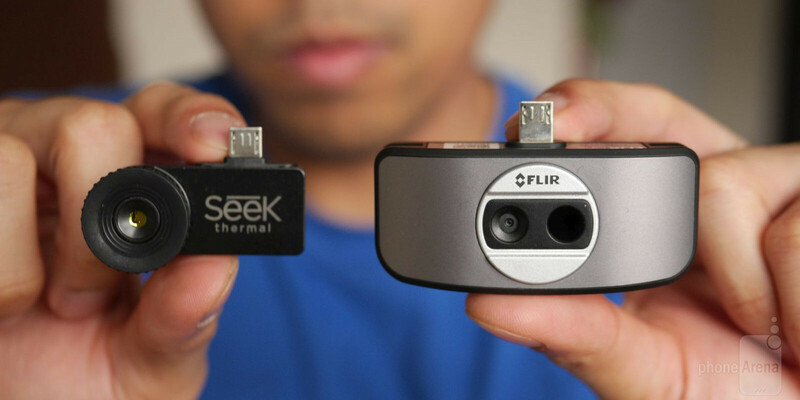 I need thermal camera for detect deception,do you think that one of this camera(seek or FLIRE) can help me?or I need camera with higher resolution? one of this camera have higher resolution?